If you’re in it for the long haul, it’s a good buy. One of the biggest problems out there is rushing trades. I would put some buy orders in increments below the current level. Wait a couple of hours, and if the pair doesn’t drop anymore, then you could enter where it stands. Otherwise, a dip will set off a trade / trades. The non-farm payroll and unemployment numbers along with the weakening JPY absolutely pounded my portfolio this morning. It put me about 40k down from where I was. 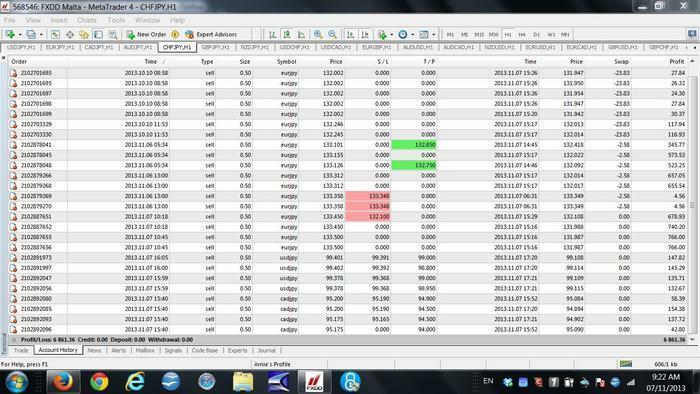 This evening, however, the yen re-gained some strength and I was able to close a couple trades for just under $1,000. I am still expecting USD/CHF to make some major gains over the next few weeks. Good investment. I’ve already got 5.5 lots on that pair running and another lot on order @ 0.89500 and 0.89475. I think we could see it jump around for a while before it heads north. Well, my 0.89750 triggered. I have a ‘feeling’ that USD CHF will bounce at 0.89020 or at 0.88700 and that’s it’s straight up. Btw, grate trade at USD CAD Great prediction, entry at 1.02975 and TP 1.04000! Any new trades at USD CAD? I’ve now loaded up on some SELL trades on USD/CAD starting at 1.03850 and waiting for some 1.04000 to kick in. Like I said b4, I love USD/CAD because it often moves up and down within a range. 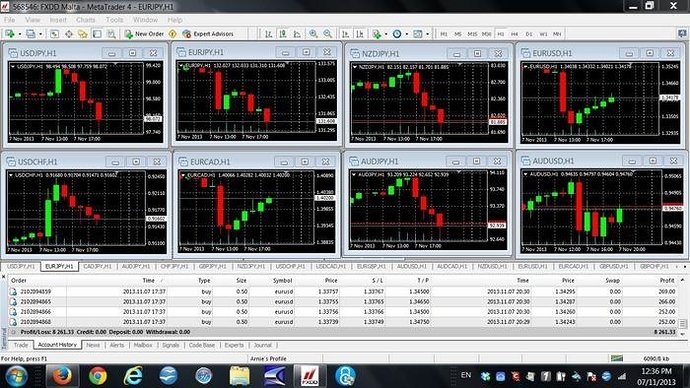 I’m going to try your sell trade on USD CAD. Entry at 1.03950. A certain TP that I can put in? I’m traveling now and don’t have access to Internet on my PC so I’ll try and answer in more detail later some time. It doesn’t look good with your strategy… USD CHF will go down, probably to 0.8550. And USD CAD is up up up, to 1.0500… What do you think will happen in the upcoming future? By the way, have a save travel! OK, I am back! I don’t want to BS and say I made a ton of $ on the USD/CHF pair lately. However, I made a few bucks considering I cashed out prematurely. I did so because my leverage was a bit too high for my liking and I wanted to get my margin level up. But had I waited… Well, the pair is currently at 0.91256. 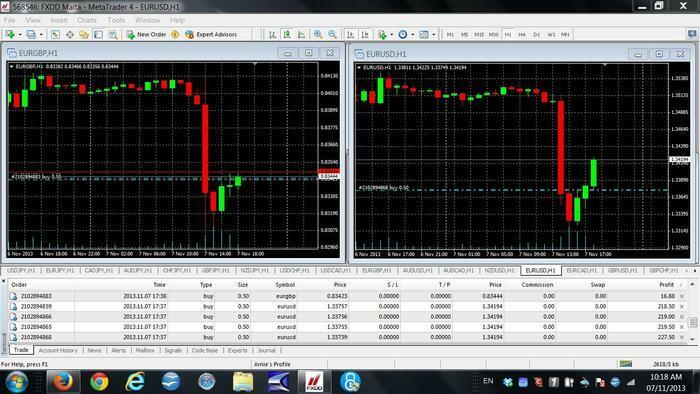 I had MANY buy trades around 200 pips below this level over the past couple of weeks. It could have been multi-thousand dollar gains had I played my cards right. Instead, I played it safer and lowered my leverage as my overall portfolio was a bit strained. PrinsSalman, how does my strategy look now? I hope the pair hits 0.89000 soon so I can re-enter with buys. My situation is very unusual, unorthodox, whatever you want to call it! PM me and we’ll talk soon. I’m beyond busy these days – even though I don’t have a f/t job. Will explain when we chat. I honestly wanted to get back on and respond sooner but I have been swamped. Looking forward to your PM. Over $6,800 in profits today so far and it’s only 9:30CST!